Would you like to get better results from your business? Has your business given you what you want? Could you take six months off – and have a business that has grown and improved while you were away? Are you the highest paid person in your company and working the least hours? Do you have a clear exit plan? If you are like most business owners I meet you probably can’t answer yes to all these questions. You probably find that responding to immediate issues – customers, staffing, logistics – takes up nearly all of your time, leaving you little space to think about your goals for the business. You may well feel time-challenged, you might feel your team is not functioning as it should, you would probably like more profit. Perhaps you sometimes feel like you have lost control – and own a job, not a company. I would love to help you on the path to a better future where you have more profit, a team you can really rely on and more time to do the things you want to do both inside and outside the business. When I started out I knew a lot about skydiving but not a lot about running a business. 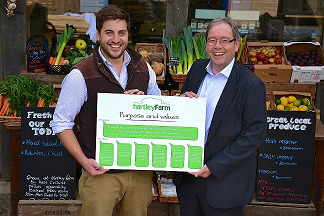 Nigel's had a reall input into the growth of the business, from marketing and methods to team management. I've also been able to adopt more of a management role which allows me to focus on the future development of the business. Revenue-wise we are growing fifty percent faster than we would have done had Nigel not been involved. 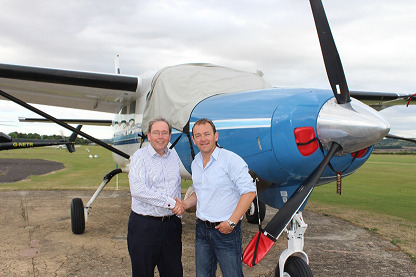 Nigel has made a very significant impact on the success of GoSkydive. To any director of a growing business, I would recommend Nigel. I came into an industry I knew nothing about. I didn't know good business practice or how to be a good boss. Nigel has made me realise what I can achieve and I'm reassured that what I'm doing is basically the right thing, and I'm finding ways to make it manageable. His guidance and feedback is important - he's a sounding board for new ideas and he keeps me in check. With Nigel's help I've developed into what a boss should be - and I've seen improvement in my staff as a result. We've been working had to ensure that the business is profitable while encouraging growth of the core business and expansion into other areas. I've recognised that we need a diverse income stream. That's why we have been working on projects like education, running courses and foraging walks, and getting school parties to the farm. I've also been building the online side of the business. I am an experienced Business Coach, providing business help, business advice, business coaching and mentoring services to small and medium sized businesses. I am based in Marlborough and have been a Business Coach with ActionCOACH for over 9 years, helping hundreds of businesses like yours grow and become profitable, so you, the business owner can enjoy the lifestyle you deserve. As your Business Coach and advisor, I will help you deliver the results you desire using proven tools, methodologies and systems, tested and perfected over tens of thousands of businesses worldwide for over more than two decades. Most importantly, I will hold you accountable for your results. Call me on 01672 512001 to find out more or register for one of my FREE workshops.